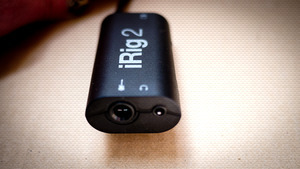 KitMonsters – IK Multimedia iRig2. The music makers’ guide to making music. 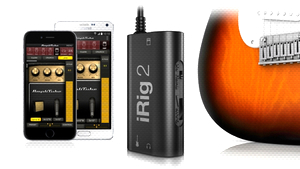 IK Multimedia’s new iRig 2 builds on the popular iRig guitar interface, with new features such as versatile input gain control, a 1/4” amplifier output jack and Android compatibility. 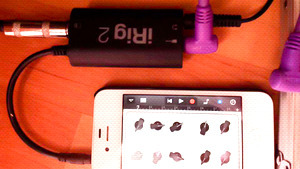 You plug in your guitar or bass to get a big range of exciting tones on your iPhone, iPad, iPod touch, Mac or Android device. 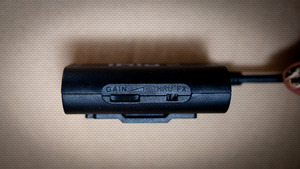 It works for rehearsals, performance and recording. The iRig 2 has a 1/8” headphone out and also a 1/4” amplifier output which means you can use it with your amp without needing an adaptor. It comes with the AmpliTube effects library of virtual stompbox effects, amplifiers and other gear. 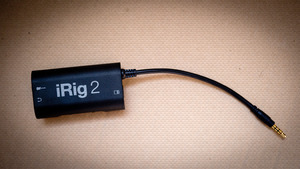 iRig 2’s added switch allows dual-mode operation: FX lets musicians send a processed signal to their amplifier’s 1/4” output from apps like AmpliTube. THRU sends a clean signal, letting you use your mobile device as a tuner, recorder or other utility while using your classic analogue rig, which maintains the purity of a 100% analogue signal path. 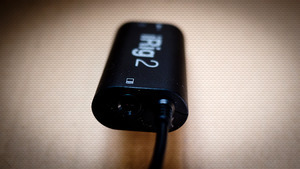 iRig 2 also comes with a removable support that, together with a Velcro strip, allows easy mounting of iRig 2 on any mic or music stand.